The Louisiana Oyster Jubilee is tomorrow (Saturday, March 9) in the French Quarter. 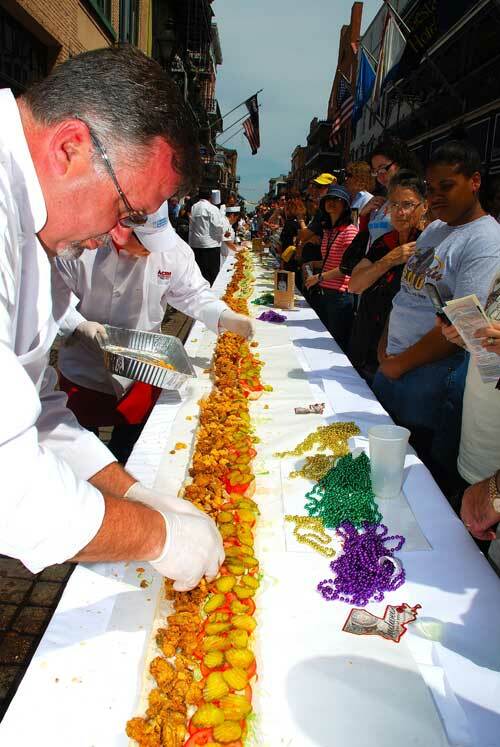 It features a chef’s competition, but the main event is witnessing (and eating) the world’s longest poboy. The poboy is cut at noon. Get there early to snag a piece. The jubilee is in the 300 block of Bourbon Street. The chef’s competition kicks off at 9:30 a.m. Check out the event’s website for more info, including the list of participating restaurants.